Vet - the job of your dreams in My Animal Centre! Treat cute rabbits, cats, dogs, horses, foals and minipigs! Use the Wii Remote to nurse, feed, stroke and play, and feel firsthand how your patients are doing. 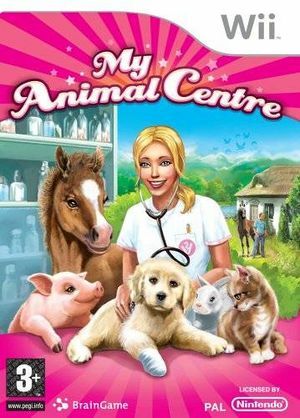 Expand your animal centre, find out interesting facts about your favourite animals, reward yourself with new stylings and become the world's best vet! The graph below charts the compatibility with My Animal Centre since Dolphin's 2.0 release, listing revisions only where a compatibility change occurred. This page was last edited on 13 January 2018, at 12:53.